1 2 3 4 5 Click to share your rating 9 ratings (3.6/5.0 average) Thanks for your vote! "Doesnt stay on the desk"
Not really happy with this product. Doesn't stick to the desk very well. Fixed Behind or on the Desktop, Even Onto a Facing Wall. 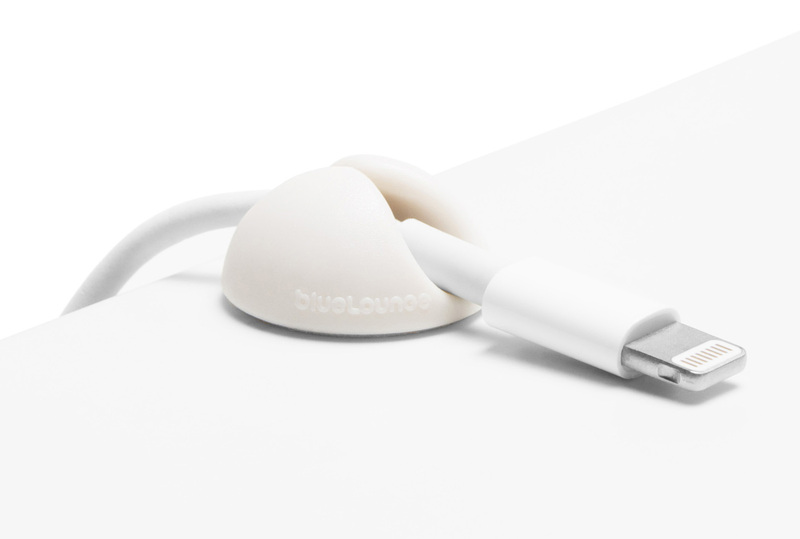 CableDrop Mini provide the perfect solution to keep your cables where you want them. CableDrops gently grasp your power and peripheral cords so they do not fall off your desk every time you unplug. Cabledrop Mini can really blend in with your decor, use them hidden under ledges with the muted colours to match your furniture or bring them to light by using the bright ones. Beyond just preventing cables from falling off a desk, they make great cable clips on furniture legs or walls to control unruly cords. Cabledrop Mini's unique design makes cable management fun and can also be used as a general purpose clip in a multitude of creative ways. Peel adhesive and apply CableDrop Mini to desired surface.